Exit I-75 @ Exit #202, go north on M-33 for 36 miles. In Mio, turn left at light onto M-72. Go west 4 1/2 miles to Camp Ten Rd. 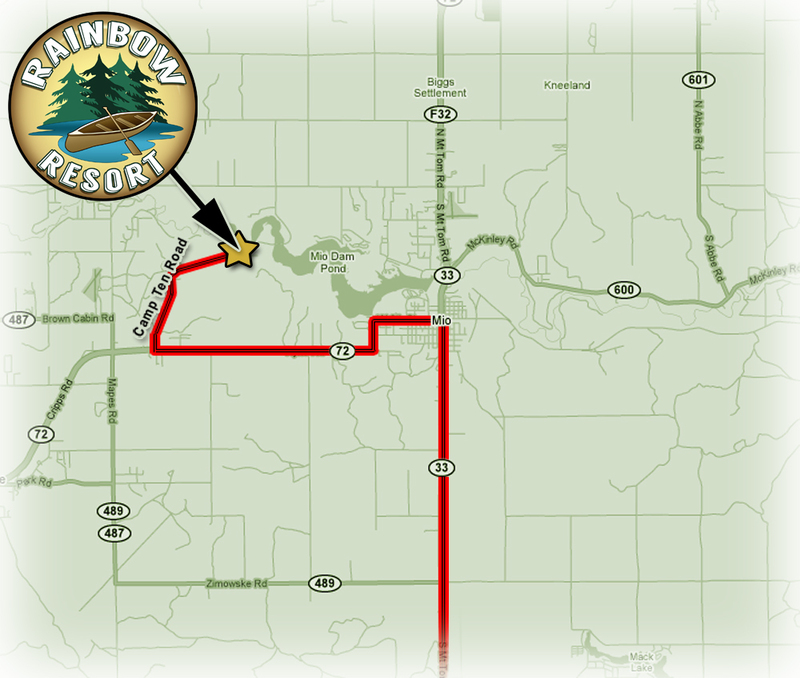 Turn Right, go north 2 1/2 miles to Rainbow Resort.